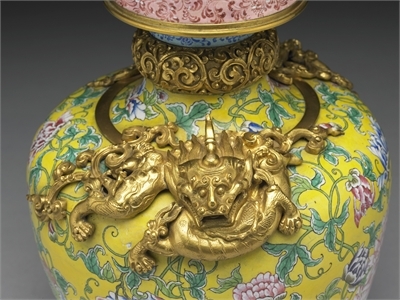 During the Yongzheng reign, under the close observation of the court, painted enamelware, which had originally come from the West, entered a stage of full-scale development. Not only were the bodies of vessels such as porcelains, bronzes, glasses, or painted enamels done with opulent colors, the decoration was also extremely refined. 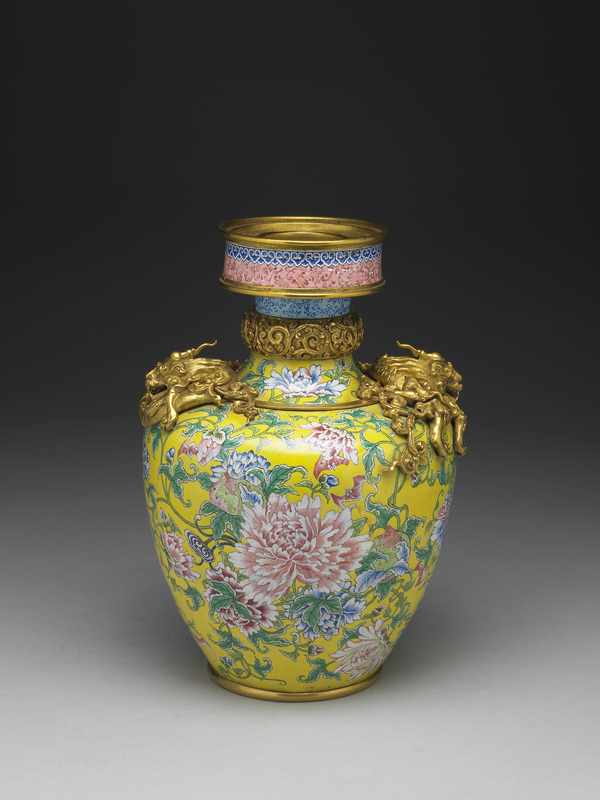 The peony blossoms on the surface of this painted enamelware vase with dragons are a traditional Chinese auspicious pattern, and the k'uei-dragons inlaid onto either side of the shoulder and the ring of floral motifs at the top are exquisitely rendered. It perhaps shows, after the absorption of Western techniques, the reinterpretation of traditional craftsmanship.